Bluefin off the UK & Ireland: overexploited and endangered? What’s it like to be a whale in the 21st century? Fisher’s rights are human rights! – a slogan adopted by traditional fishing communities from India to Africa to Canada as they lobby for recognition not just for their traditional rights but for the state of our oceans today. Overfishing, in part due to the expansion of industrial fleets, along with a slew of other anthropogenic actions, has reduced fish stocks around the world. The FAO reported that the number of overexploited stocks has tripled over 30 years from 10% to 29.9 % with the number of fully exploited stocks increasing from 51% to 57%. Despite all this, there’s still hope for our oceans if countries act now. The United Nations included marine conservation as one of the Sustainable Development Goals (SDG 14) to attain by 2030 and maritime nations recommitted themselves to this task at the United Nations Ocean Conference in 2017. 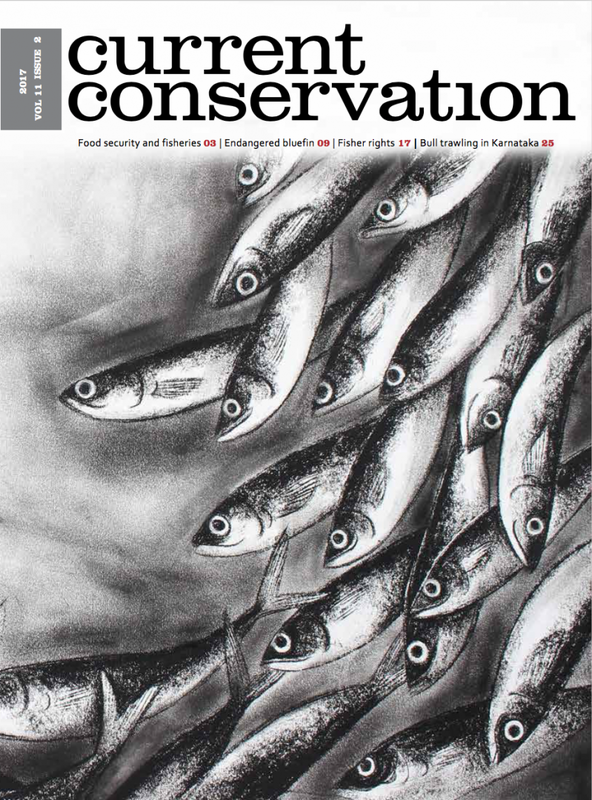 With this marine issue, we try to delve further into the idea of fisheries governance, its conservation complexities and why we should care about this sector. Joeri Scholtens and Maarten Bavinck highlight the role that fish play in ensuring food security for some of the most poor and vulnerable in society. Jackie Sunde discusses the struggle of traditional fishers in South Africa to obtain recognition of their historical rights in the post-apartheid era. In India, where trawling is a source of great contention amongst scientists, government and traditional fishers, Mahableshwer Hegde and Manju Menon discuss a particularly destructive trawling technique – bull trawling – and how communities are working together to push for legal reform to address this threat to the long-term sustainability of their fisheries. Tom Horton sheds light on the attempts to restore Atlantic Bluefin tuna populations and the conservation challenges inherent in attempting to protect migratory species. Danny Buss shares her team’s efforts to figure out ways to estimate the number of whales present before whaling took its toll on populations. Sahir Advani’s article throws light on ray fisheries and the conservation bias which favours charismatic manta rays over the less popular but equally threatened devil rays.